If you have suffered from dental damage or wish to improve the appearance of your smile, a dental crown, bridge, or veneers, may be right for you. However, many put off receiving these treatments because of the time and number of appointments they usually require. Fortunately, Dr. Chris DeMille and Dr. David MacKay offer lifelike restorations created using the advanced CEREC® system. Our North Salt Lake, UT, office is on the cutting-edge of dental technology, and is designed with you in mind. In most cases, you can receive your crown or other restoration during a single visit, saving time and money, and enabling you to get back to your schedule sooner. Traditionally, patients would need to be fitted for their restoration and then wait two to three weeks for a third-party, off-site dental laboratory to design and create it. They would also need to wear a temporary crown, bridge, or veneer in the meantime and require extra procedures to attach and remove these restorations. CEREC allows us to provide customized, lifelike results in just one to two hours. With this advanced technology, you can leave the same day with your final restoration. 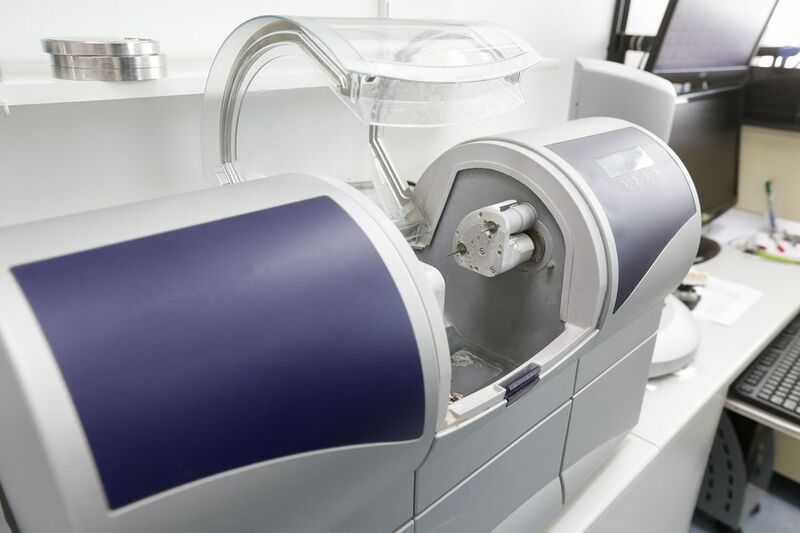 CEREC is powered by CAD/CAM (computer-aided design/computer-aided manufacturing) technology. This system also takes digital impressions of the teeth, which our doctors will use to design a restoration to your exact specifications. Moreover, you will not need to experience the uncomfortable gooey impression putty that is associated with traditional methods of designing restorations. In addition, we can also use our technology to show you a preview of what your smile canlook like once your treatment is complete, allowing you to make informed decisions. At our practice, we use CEREC for dental crowns, bridges, porcelain veneers, and inlays and onlays. We are also proud to offer CEREC for the fabrication of restorations supported by dental implants, such as implant-supported bridges and crowns. All restorations are made from advanced ceramic porcelain, which is durable and offers a natural-looking appearance that blends with surrounding teeth. Ceramic is also more biocompatible than traditional materials such as gold or amalgam. Dr. MacKay and Dr. DeMille offer detailed guidance, compassionate care, and a commitment to the latest technology. Our office is convenient, and you can receive any treatment you need under one roof, often with same-day results. After Drs. DeMille and MacKay perform a thorough evaluation of your smile and determine the type of restoration you need, they will remove all decay and prepare your tooth. When the tooth is prepared, we will use our digital scanners create a 3-D model of your smile. Once the data is gathered, your doctor will design your restoration, ensuring it fits your unique needs. Will will send your finished designs to our in-office milling machine. This device will carve your restoration in less than an hour from a solid piece of porcelain that matches your dental enamel. Before securing your restoration in place, we will ensure it fits properly. When you are satisfied, your doctor will attach your custom porcelain restoration for a transformed appearance and improved level of oral health. Dr. MacKay and Dr. DeMille offer detailed guidance, compassionate care, and a commitment to the latest technology. Our office is convenient, and you can receive any treatment you need under one roof, often with same-day results. Contact our practice today, or call (801) 397-5262 to schedule your appointment at the location nearest you.